In the Reality Calling Bookstore, Vetted Christian Horror can teach Truth. I don’t read Christian horror, but Peter Younghusband does in Australia. He raves about how good the books are. Or maybe he raves because of what the books are. Regardless, his reviews and insight are superb. 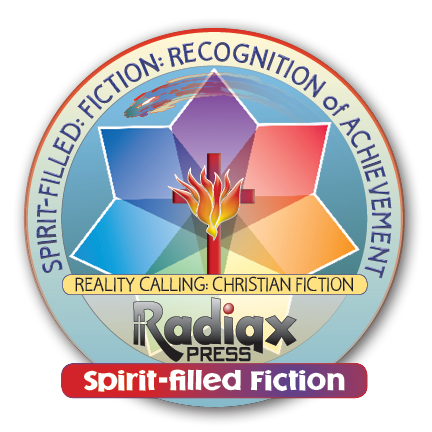 He is easily the best reviewer of Christian speculative fiction in the world today. No one else comes close to the depth of analysis and dedication to rooting out the backstory of the books he reviews. He has convinced us to read more excellent books we’ve never heard of than anyone else we know. If you have any questions, contact him at the Christian Fiction Review. This is chick-lit. Of course, my definition is probably very different than most. For me it’s a book about relationships and the characters don’t do anything—no saving the world, getting the girl, eliminating an enemy, or anything like that. There’s no swords or sorcery, no magic, no palace intrigue, no foreign worlds, no space travel, or anything like that. It’s just an excellent story. Those who have read my reviews know that I do not like poetry, lyric fantasy, or time travel. But it is done well in this book. Those who like this type of book will really enjoy these three characters and the allegorical Lord who changes their lives. It was a little struggle for me, but I’m glad I did. The characters are marvelous. The only trouble I had with it was trying to figure out what was going on. One I realized there was nothing happening of the type I normally enjoy, I was fine. Spiritual level: allegorical evangelical There’s a strong allegory of our Messiah. The Holy Spirit is not seen. But, spiritual truth is readily apparant. This is very well done. When Officer Chris Davis, of Arrow Springs, Missouri, rescues a young woman from a mysterious attacker, he steps into the center of a spiritual showdown. Following his heart, and a trace of circumstantial evidence, he embarks on a collision course with a government research facility and an unseen foe. One year before Dolly the Sheep, three humans were cloned in a small town in Missouri. Twenty-five years later, THEY’RE READY! If there is one thing that I dislike immensely is reading Book 1 of a series then having to wait for Book 2 when this first book has entertained me immensely, uplifted me spiritually and reinforced spiritual truths from the Bible. 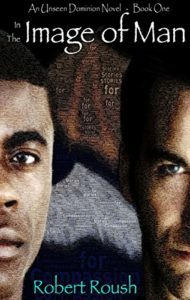 All the three things that I expect to see and like to see from Christian fiction. 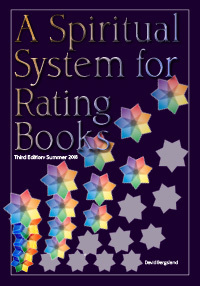 This author delivers this with ease and expertise. Quite a feat and talent for his debut novel. 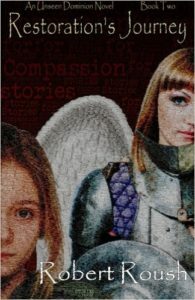 This novel is predominantly about spiritual warfare between angels, fallen angels and humans. If anyone has read Frank Peretti’s This Present Darkness and Piercing The Darkness, they will understand what this novel is about and how it is structured. This novel is up there with Peretti and all the other authors who have successfully gone down this path like Peretti. Book 2: How do you run from an unseen enemy . . .
. . . in a world you’ve never experienced? Twelve-year-old Ima Fredericks is a second generation mim (manufactured image of man). Born and raised in the secret research facility known as CeSiR Tech, she discovered early in life that she was different—different from humans and different from the other mims. When the one person she trusts is murdered, Ima flees the only world she has ever known. But escape was the easy part. Can she survive in an unfamiliar world while hunted by the unseen forces responsible for the creation of the mims? As a faithful warrior of the heavenly host, Adiya cannot understand why she would be assigned to protect an abomination created by the enemy. She trusts in the Creator s wisdom, but will she be up to this challenge? “Satan, once one of God’s favorites, now His Adversary, grows impatient with the plan and begins to harvest souls. In a fell swoop, he throws reality out of whack and the world into chaos. God calls on Paul and his friends Amy and Joe to set things right. The young teens journey through a messed up world—with a little help from an angel—struggling against everything the Adversary can throw in their path to accomplish their Sudden Mission. I liked the description of this book when I discovered the author from Vox Dei Publishing on Twitter. 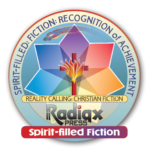 I reviewed another author from this company and I like how this company conducts its business, treats its authors, promotes its novels and its attitude towards Christian fiction. So I decided to buy this novel and support another new Christian author. I am glad I read Sudden Mission. 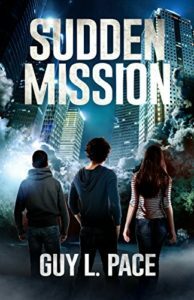 This novel showcases Pace’s creativity and for a debut novel, he has succeeded in crafting a fast-paced, action-filled novel that I can see why it appeals to the teen/young adult audience. 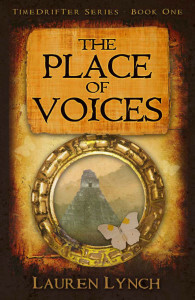 Pace admits that he is geared towards writing for young adults and this novel shows that very well. I have not read many novels in this genre but for those I have, I have enjoyed, and I did enjoy this one. Pace shows great creativity in this novel. 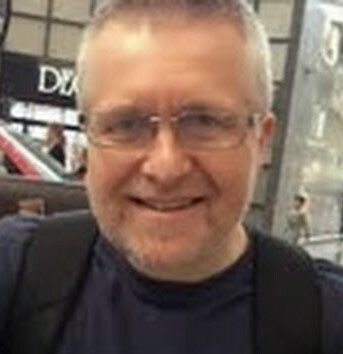 He has blended zombies, crazed monks, aliens, a demon possessed coyote, white and black destructive fog and a messenger angel into an end-times (eschatological) scenario that while on the surface may appear as if it is a mismatch of characters and events but works well under the guise of satan manipulating time, space and events to bring the apocalypse forward and force the Hand of God. Looks like he learns the hard way that you cannot force God’s hand! Welcome to Ravens Cove, Alaska, a tiny town nestled in a small hollow on the majestic Cook Inlet. A town familiar with storytelling—after all, Alaska abounds in rich legends. Unlike other tales, however, the account of Ravens Cove is not just based in fact. It is fact. Meet Josiah Williams, the peculiar stranger whose warning to lifetime residents Kat Tovslosky and her cousin, Sheriff Bart Andersen, raises more questions than answers; a man whose dark past and knowledge of the murders make him a suspect more than an ally. Join Kat and Bart as an unlikely troop forms (including a very unwelcome FBI agent) to discover the identity of a killer. The unearthing of which will throw the reluctant warriors into a battle for their very lives and the lives of all who call Ravens Cove home. James Cooper moved his family to Walker’s Vale, Pennsylvania, in search of the ideal life. What he got was the just opposite. As this small town’s eerie history is revealed and repeated, it’s clear the devil is in the details—and he’s waiting for the Cooper’s young daughter. When the FBI come knocking at his door, James quickly realizes that his ideal life may come with a steeper price than he thought. This story of faith, deception, and horror will captivate readers as one man fights for his family’s safety and embarks on a journey toward redemption in this suspenseful supernatural thriller. Here’s an excerpt of Peter’s Review: I must confess that I was hoping that this novel would be like two other haunted house novels that I have read from Christian authors…. Where my hope was shattered (in a positive way) was the different take on the haunted house scenario that we are used to. While one of the aforementioned novels was based on a demonic entity claiming the house for its own dominion and the other having been invited in for the same purpose, Zelenski has the affected house and the region containing Walker’s Vale a mere part of its entire dominion that the demonic force has claimed. I really liked this, as it took the dark forces and spiritual warfare outside the confines of just a house and broadens the scope of this horror and the effects on the whole town that goes back 150 yrs. 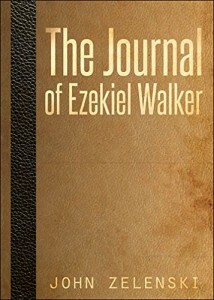 This is backed up by the prequel (The Journal of Ezekiel Walker), setting the foundation for this larger demonic dominion and story line in Walker’s Vale. 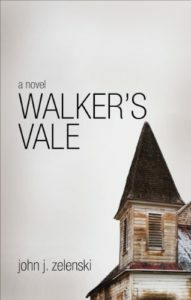 According to John ‘s biography on Amazon: Walker’s Vale, the film will be released through Allegentsia Productions with filming scheduled to begin sometime in 2017. Resigned to an eternity of helping those less fortunate, Lazarus finds himself in modern day New York City. But his simple life is thrown into turmoil when he meets a woman who is a mirror image of his long lost love and learns from a mysterious ally that an ancient enemy is amassing an army of soulless soldiers. With his past and present intermingling, Lazarus struggles to prepare for a battle that will test the limits of his strength and faith. Peter’s review: I picked this up as a free download. I made the mistake of reading the first few pages and I was hooked. Read this over the weekend and I am so glad I did. After the first few chapters, my reaction was WOW! What a plot and what a concept! This novel is constructed well, the author also writes well, the plot flows consistently, no peaks or troughs, keeps you coming back for more and you just cannot put it down. I found my curiosity building with each chapter and each event; Dorner really knows how to reel you in. I found my interest in some of the unique aspects of this novel increasing such as why immortality is granted after being resurrected by Jesus and the bestowing of the gift ofra’oh (no spoiler here, you will have to read it to find out, although the green eyes of Lazarus on the cover might give you a clue! and yes, that Lazarus, the one from the biblie!). You keep reading wondering where the author is going with this and it just adds to the building tension and deepening of the plot and of your reading pleasure. There be zombies! Was I surprised. This is a Christian book, so I assumed it was about the “real” apocalypse coming soon. In fact, the Coming King is not even hinted. 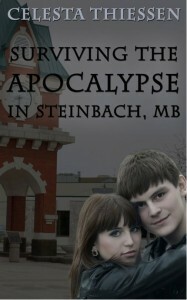 However, it’s a good story…a post calamity survival tale of realistic young love dealing with life & death issues of survival in a Canadian winter just south of Winnipeg. Yes, there are zombies. Evidently, the cover image is supposed to be this dull & grey with a leaning building.